The 2001 Durban conference, organized by the United Nations Commission on Human Rights, "crystallized the strategy of delegitimizing Israel as 'an apartheid regime' through international isolation based on the South African model." The conference consisted of three parallel gatherings—an official diplomatic forum, a youth summit, and a massive nongovernmental organization (NGO) forum with delegates from 1,250 groups. The delegitimization plan is driven by groups that exploit the funds, slogans, and rhetoric of the human rights movement. 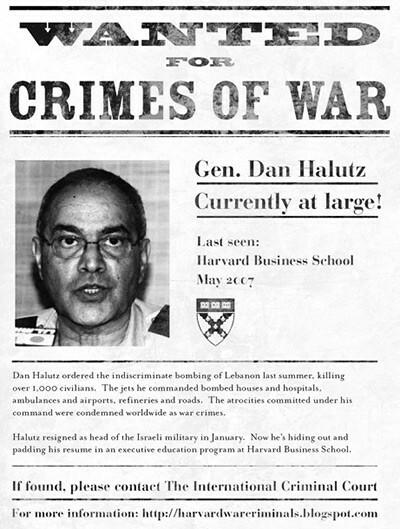 The complaints by NGOs against Israeli generals abroad were based on the Durban speeches that branded Israeli antiterrorism responses as "war crimes" and "violations of international law." Article 426 of the declaration of the Durban conference seeks the "condemnation of those states who are supporting, aiding and abetting the Israeli apartheid state and its perpetration of racist crimes against humanity including ethnic cleansing, acts of genocide." Israeli and Jewish NGOs were deliberately excluded from a regional conference in the run-up to Durban, designed to draft a composite declaration against racism. None of the international NGOs present protested at this violation of Israeli rights, and no one protested when Israel was outrageously and falsely accused of "committing holocausts and being anti-Semitic." This last statement deliberately replaced the longstanding and common meaning of "anti-Semitism" (hatred directed against Jews) to mean hatred of Arabs, who are also Semites. The reference to "holocausts" was wholly without historical foundation. These accusations laid the foundation for NGOs to invoke a politicized interpretation of universal jurisdiction in their bid to indict Israeli officials and military abroad. The Sabra and Shatila Committee. Among other NGOs responsible for indicting Ariel Sharon was the Belgian Centre for Palestinian Development, Documentation, and Information (CODIP) that cooperated closely with the Arab European League to campaign for the indictment. AEL's founder and president Abou Jahjah was also chairman of the Sabra and Shatila Committee (SSC), which he used as another catalyst for the indictment of Sharon. The SSC was formed by the AEL, "to create a larger platform to involve non-Arabs as well." AEL itself was openly anti-Zionist and had been condemned as anti-Semitic. In 2002, Belgium's federal anti-racist agency, the Centre pour l'égalité des chances et la lutte contre le racisme, lodged a complaint against the AEL for breach of Belgian laws on racism. The AEL has also condoned the killing of coalition troops in Iraq, and has published anti-Semitic cartoons portraying Holocaust denial. At an AEL demonstration on April 3, 2002, participants shouted "Death to the Jews," and descended upon the Jewish quarter of Antwerp, smashing shop windows belonging to diamond merchants. The AEL was also accused of anti-Semitism by the Stephen Roth Institute for the Study of Contemporary Antisemitism and Racism. The Sabra and Shatila Committee, which actively supported the plaintiffs by paying their legal fees, remained connected with the AEL, whose support for terrorism was explicit in such statements as, "The AEL admires resistance organizations such as Hezbollah which are fighting against Israel." In March 2009, Abdoulmouthalib Bouzerda of the AEL attended the International Conference on Support for the Oppressed Palestinian Nation in Tehran. Other invitees to the conference were representatives of Hamas, Hezbollah and the Islamic Jihad. Initially the plaintiffs made a general claim stating they were working with committees in Lebanon, France, Spain, Britain, Italy, the United States, and Canada. The committee set up in "Palestine" was run by Ingrid Jaradat from the BADIL Resource Center for Palestinian Residency and Refugee Rights, which housed the Palestine Committee for Justice for the Victims of Sabra and Shatila. The plaintiffs later contradicted their original claim and stated that the legal action in Belgium was "pursued separately and independently from the activities of these committees, and the legal team in no way endorses or shall endorse these activities, however supportive they may be in many instances." Sabra and Shatila—The Politicization of Death. As further evidence that the indictment had been politicized, Irit Kohn of Ariel Sharon's defense pointed out that the complaint was filed one day after the BBC aired its controversial Panorama documentary The Accused about Sharon's role in the Sabra and Shatila affair, and soon after Belgium took up its presidency of the European Union. Abou Jahjah knew the BBC program was to be aired on June 17, 2001, a day before the complaint against Sharon was filed, stating: "Maybe we took that into consideration in filing the complaint on the 18th." The indictment was also accompanied by an international petition of support, and other NGOs including Human Rights Watch (HRW) and Amnesty International issued statements in support of the plaintiffs. HRW called on the Belgian government not to dismiss the Sabra and Shatila case and urged a criminal investigation against Ariel Sharon. "There is abundant evidence that crimes against humanity were committed in the massacre of over 700 civilians, but not a single individual has been brought to justice … President Bush should urge Prime Minister Sharon to cooperate with any investigation," said Hanny Megally, executive director of the Middle East and North Africa division of Human Rights Watch. Fabricated Evidence. Demonization of Israel extends further than redefining terms such as crimes against humanity or politicizing universal jurisdiction. NGOs in the Sharon case also fabricated events while making ambiguous claims that could not be verified. For example, Irit Kohn recalled that one victim was asked by the media how she knew those soldiers she had identified as Israeli were indeed Israeli. She replied that she recognized them by the Stars of David on their helmets, something that, in fact, she could only have seen in caricatures of Israeli soldiers in the Arab press. Real IDF helmets do not bear a Star of David. The plaintiffs relied upon as evidence the narratives of survivors compiled by journalists, including the well-known critic of Israel, Robert Fisk. Other nonofficial sources were provided in the form of inquiries and reports whose accounts could not be verified. These included those of Sean MacBride (who chaired the International Commission) and the Nordic Commission, which were presented as facts. The plaintiffs provided speculative accounts as evidence, which served a political agenda to take events out of context. Ariel Sharon's immunity as prime minister of Israel rendered more difficult the NGOs' efforts to try him for alleged war crimes. This was not the case with other public figures such as Avi Dichter and Moshe Ya'alon, who were accused of grave breaches of the Fourth Geneva Convention. More recently, Avi Dichter has found himself on the receiving end of accusations for the killing of a major Palestinian terrorist leader. This accusation had its origin, not within Palestinian circles, but with a U.S.-based human rights organization. The New York-based Center for Constitutional Rights (CCR) is a major left-wing organization that brings to court cases involving real or alleged human rights violations. Founded in 1966, it began by providing legal and financial aid to lawyers representing civil rights campaigners in Mississippi. In a landmark 1980 decision, the center obtained a ruling that opened U.S. courts to victims of human rights crimes, allowing them to bring suit against offenders from any part of the world. On December 8, 2005, working with the Palestinian Center for Human Rights, the CCR filed a civil action lawsuit against Avi Dichter, former director of Israel's General Security Service, on behalf of the relatives of fourteen Palestinians killed in an air strike. The attack had occurred just before midnight on July 22, 2002, when the Israeli Air Force dropped a one-ton bomb on Ad-Daraj, a residential neighborhood in Gaza City. The air strike had targeted the home of Hamas leader Salah Shehadah, a founder of the military wing of Hamas and one of Israel's most wanted terrorists at the time. Shehadah was killed in the strike. He had been arrested by Israel in the 1980s and later turned over to the Palestinian Authority, who proceeded to set him free in early 2000. Shehadah was considered to have been the mastermind behind hundreds of deadly terror attacks on Israel. In Spain, in the aftermath of Operation Cast Lead in Gaza, Judge Fernando Andreu said the attack on Shehadah by Israel might constitute a crime against humanity. One major problem with this and other cases is that the charge of a "crime against humanity" has clearly been manufactured in order to portray Israel as the constant villain. Salah Shehadah was not an innocent bystander. Palestinian terrorists acting on his orders had killed hundreds of Israelis, yet neither the CCR nor any other NGO pursued him while he was alive, nor did they charge any other living Palestinian terrorist. Does the act of exploding a bomb in the middle of a crowded restaurant in Tel Aviv not constitute a crime against humanity? If it does not, the term loses all meaning. Those named in the CCR suit included Internal Security Minister Avi Dichter; former IDF Southern Command chief Doron Almog; former National Security Council head Giora Eiland; Brig.-Gen. (ret.) Mike Herzog; former IDF chief of staff Dan Halutz, who was the Israeli air force commander at that time; and National Infrastructures minister Benjamin Ben-Eliezer. The charges against Avi Dichter included having committed "willful killing, torture, or inhumane treatment; willfully causing great suffering or serious injury to body or health and extensive destruction and appropriation of property, not justified by military necessity, and carried out unlawfully and wantonly." The ten claims for relief ranged from war crimes, crimes against humanity, perpetrating inhuman acts, cruel, inhuman, or degrading treatment or punishment, extrajudicial killing, wrongful death, negligence, public nuisance, battery, intentional infliction of emotional distress, and negligent infliction of emotional distress. These claims were predicated upon the Center for Constitutional Rights' declaration that murders "were knowingly committed as part of a widespread or systematic attack against a civilian population." The civil action sought compensatory and punitive damages for the violation of state, federal, and international law committed against the plaintiffs. CCR used ambiguous statements in the Dichter case, as it was to do later with Moshe Ya'alon, claiming that the defendant "advocated using military aircraft to kill Shehadah, despite actual and/or constructive notice that individuals other than the Hamas military commanders were present in the target area." The defendant noted that the phrase "actual and/or constructive notice" was a hedge, connoting that even based upon information or beliefs, the plaintiffs could not with certainty say whether Dichter knew civilians were present. Rather the plaintiffs in effect argued that Dichter knew or should have known that civilians were present. The Terrorist Context. In its statement of facts in the Dichter case, CCR did not provide an adequate context as it failed to describe the terrorism to which Israeli civilians are continuously subjected. While describing the environment of Ad-Daraj (in Gaza City) as a densely populated civilian area, CCR made no mention of the terrorists it hosts. Security officials said that Shehadah was in the midst of planning an unprecedented wave of terrorist attacks against civilians and soldiers. The plans included rigging a truck with 600 kilograms of explosives to blow up a bridge in Gush Katif. Shehadah had also intended to carry out attacks against residents of Gush Katif, a block of seventeen settlements in southern Gaza, and was planning to send suicide bombers into Israel in order to carry out a number of bomb attacks in populated areas in Beersheba. Shehadah also wanted to abduct Israeli soldiers and civilians and use them as hostages in order to gain the release of Palestinians in Israeli jails. Yet another of his many goals was to rig a boat with explosives and blow it up on one of the beaches used by residents of the Gush Katif communities. Yet he was never accused of crimes against humanity. The defendant Dichter provided a greater context for the event. He depicted Israel as a country constantly confronted by an ongoing terror campaign: "Hamas had engaged in a terrorist campaign designed to cause maximum carnage against the peaceful civilian population of Israel including children, women and the elderly." The attacks "are aimed not only at innocent Israeli civilians, but also at destroying the Middle East peace process," he said. "In the four year period starting September 2000, the Israeli government reports 138 suicide bombings, 13,730 shooting attacks, and 313 rocket attacks, killing more than 1,084 Israelis and injuring more than 7,633, many critically." By refusing to use these as the context for Israeli self-defense, and by opting not to pursue those responsible for mass murder, the NGOs place themselves in contempt of every court in which they claim to seek justice. Nuremburg trials by contrast, were criminal proceedings, which were, as a legal matter, under the authority of the defendants' own sovereign. In such different circumstances, immunity considerations can play out differently. As an initial matter, international law distinguishes between the civil and the criminal immunity of officials. On the civil side, officials are accorded immunity in part because states themselves are responsible for their officials' acts. the Nuremburg proceedings were instituted by sovereign governments, and criminal prosecutions in this country [the United States] are likewise controlled by the Executive branch. … Thus, while Congress has provided limited authority for the criminal prosecution of war crimes in the federal courts … any decision to bring such grave charges against a foreign official would be made by the Executive—and only after exceedingly careful consideration of the potential diplomatic consequences. By contrast, civil lawsuits like the one at bar are brought by private plaintiffs and consequently present an uncontrolled risk of interference with the Executive's conduct of foreign affairs. The most explicit example of NGOs placing events out of context was CCR's legal strategy in the Dichter case. Here, they sought to underplay Israel's legitimate security concerns and "Israel's right to defend itself against terrorism" as "rhetorically charged" and thus constituting inadmissible evidence. They made the same accusation in the Ya'alon case when again CCR failed to make any mention of Hezbollah's terrorist activities. In the politically motivated act of citing circumstances out of context, CCR engaged in moral relativism. They compared Israel's military operations against terrorists with sub-state terrorist actors' actions against civilians. This resulted in a moral equivalence between democratic states bound by international law and terrorists with no commitment to these principles whatsoever. In the Dichter case, Antonio Cassese, an Italian jurist, declared, "armed clashes are legally governed by the whole body of international humanitarian law (IHL), which imposes on both parties well defined restraints in the interests of the civilian population and with a view to introducing a modicum of fair play into military violence." This is a reasonable demand between two conventional military forces but not against a sub-state terrorist group that does not respect international law. Once again, Israel is held to a higher standard than the terrorist entities that attack it. Complementing the Durban strategy of placing events out of context, CCR and Palestinian Centre for Human Rights (PCHR) also made ambiguous statements. For example, CCR could not connect Dichter to the attack but still alleged he had helped plan the attack. Thus, they allowed themselves to state definitively that Dichter engaged in "the intentional bombing of a civilian apartment building in a crowded neighborhood." CCR could not claim that Dichter knew civilians were present at the time of the attack. Nonetheless they alleged that the agency Dichter headed provides "intelligence" that identifies the individuals—terrorist leaders—whom the air force attacks, and that it approves firing at these individuals although the decision whether to fire rests with the air force "based on environmental conditions at the time of the attack." We are appalled by the blatant self-interest revealed in the U.S.'s leveraging of Israel's actions towards a "New Middle East" agenda, which it has advanced in Afghanistan and Iraq in order to serve an increasingly unilateral economic and political program enforced through military aggression. With Israel as its military proxy, this destructive U.S. foreign policy agenda seeks to establish puppet governments across the Middle East, in a grand effort to ensure continued oil supplies to the West at devastating cost to civilian lives and democracy across the Middle East and beyond. Just as the case against Avi Dichter originated in the United States, so accusations against Doron Almog were first filed in Great Britain. On July 20, 2003, Daniel Machover, head of civil litigation at the British law firm Hickman & Rose, filed a complaint against former IDF chief of Southern Command Maj. Gen. Doron Almog. The case was filed with the Chief London Magistrate, based upon the legal principle of universal jurisdiction over war crimes. The firm relied on evidence compiled by PCHR, acting for victims in Gaza. Almog was accused of the wanton destruction of fifty-nine houses in Rafah refugee camp on January 10, 2002, and mass murder on July 22, 2002, when a one-ton bomb was dropped on Gaza City killing fifteen people and injuring more than 150 others. Senior District Judge and Chief Magistrate for the London District Bench Timothy Workman issued a warrant on September 10, 2005, for Almog's arrest on suspicion of committing a breach of Article 147 of the Fourth Geneva Convention. Israel's ambassador to Britain, Zvi Hefetz, learned of a surprise plan to arrest Almog and immediately notified Israel's Foreign Ministry, which in turn sent a message to Almog as he was flying to the U.K., warning him that he could be arrested if he entered the country. Almog did not disembark and returned to Israel. An Israeli "peace" group, Yesh Gvul, announced its targeting of then-chief of staff Dan Halutz and Moshe Ya'alon saying "the train has left the station, with the injunction in England against the former southern commander, Doron Almog, on suspicion for war crimes. Eight further cases aimed at other Israeli officers have already been presented to police in England." Yoav Hess from Yesh Gvul believed that the case filed against Almog set a precedent and stated, "Our objective is that every soldier who receives an order will think twice if it is clearly illegal or if it can result in his being placed on trial on the charge of committing war crimes." On December 15, 2005, in New York, similar accusations to those made against Avi Dichter were leveled against Moshe Ya'alon. The complaint was filed on behalf of plaintiff Saadallah Ali Belhas, whose wife and children were killed in the attack on the U.N. compound in Qana, which doubled as a Hezbollah stronghold from which Katyusha rockets were launched into Israel. The evidence against Ya'alon was also compiled in the U.K. by Hickman & Rose and Yesh Gvul. Although CCR was unable to connect Ya'alon directly to the attack, they went ahead and sued him. They circumvented the obstacle of his not having been there by claiming that he had held command responsibility. They claimed that Ya'alon "knew or should have known that forces under his command were deliberately and wantonly attacking and killing internally displaced persons who had taken refuge in a known and clearly-marked U.N. compound." Furthermore, they stated that Ya'alon failed "to take precautions to minimize the injury and deaths of civilians." CCR went as far as to state that Ya'alon deliberately used "disproportionate force in an area which the defendant [Ya'alon] knew was heavily populated with civilians." They made the claim despite the fact that they did not allege that Ya'alon intended to shell the U.N. compound, or that he knew civilians were present at the targeted location. The defense in the Ya'alon case recalled the context of the case, "Since September 2000, for example, terrorists have killed more than 1,884 Israelis and injured more than 7,633, many critically." They also cited the Syria Accountability and Lebanese Restoration Act that states that the "Israeli-Lebanese border and much of southern Lebanon is under the control of Hizbullah, which continues to attack Israeli positions, allows Iranian Revolutionary Guards and other militant groups to operate freely in the area, and maintains thousands of rockets along Israel's northern border, destabilizing the entire region." The strategy used by NGOs in other cases resembled their approach begun in the Dichter case. In the Doron Almog case, Hickman & Rose complained that Almog was indirectly responsible for extensive destruction of property not justified by military necessity. The law firm further cited the Palestinian Centre for Human Rights and B'Tselem's unverified findings and political opinions in order to create a climate for the judiciary to issue a warrant for Almog's arrest. In the Ya'alon case, as in the Almog case, the defense drew attention to the fact that Israel was subjected to constant terrorist attacks, this time from Hezbollah on its northern borders. In the previous five weeks of fighting, seven Israeli soldiers and three Lebanese civilians were killed. CCR, however, made no mention of the fact that Hezbollah was launching rockets from the U.N. compound and using civilians as human shields. Even Human Rights Watch's critical report against Israel acknowledged that "the only thing you [the public] can accuse us of being weak on is the issue of Hizbullah shielding." But as in the Dichter case, CCR distorted the evidence, as the following examples from the Ya'alon case demonstrate. CCR fabricated the circumstances surrounding the military attack when they claimed: "Most of the civilians sheltered there were women, children and elderly people as they were those who were too poor or otherwise unable to get transportation out of the areas of shelling." Furthermore, CCR advanced the notion that the "case is not about the military conflict between Hezbollah and Israel." CCR also trivialized Hezbollah's activities calling them "guerilla [not terrorist] forces of Hezbollah that opposed the Israeli occupation in southern Lebanon." Finally, they ignored the official statement by Israel that the "UN position was hit by artillery fire due to incorrect targeting based on erroneous data." They also ignored President Clinton's statement that the fire was misdirected. Instead, they claimed that the attack was indiscriminate or even a deliberate assault on civilians. After the case was rejected in the United States, NGOs started to pursue their political agenda in Europe through lawsuits against Israeli officials. In January 2009, after the Spanish judge Fernando Andreu first announced his intention to investigate, Ya'alon said the goal of the Spanish court decision was "to delegitimize Israel and present us as war criminals." Foreign Minister Tzipi Livni spoke with Spanish foreign minister Miguel Moratinos, who Israeli officials said had assured Livni that no charges would be brought against the Israelis, and there would be "no ambush." Fernando Andreu was investigating suspected crimes against humanity due to the assassination of Hamas terrorist Salah Shehadah in Gaza City on July 22, 2002. Again, the officials investigated were Dichter, Almog, Eiland, Herzog, Halutz, and Eliezer. Spanish legislators have since voted to change the law that allows judges to indict foreigners, narrowing its scope to cases with a clear link to Spain. Both main Spanish political parties, joined forces to amend the law. The vote in the Congress of Deputies, or lower house of parliament, was 341 in favor, 2 against and 3 abstentions. The measure now is expected to go to the Senate, where passage is expected because of the bipartisan support. New York-based Human Rights Watch criticized the vote, saying Spain had been a model in this field of law and now "many victims of serious human rights violations will lose one of the few places they could turn in search of redress." HRW spokesman Reed Brody stated, "It is deplorable for the Spanish government to capitulate to diplomatic pressure." On June 30, 2009, Spain's National Court decided to shelve the investigation. NGO complaints against the Israeli generals abroad emerged from currents of extreme political thought. This was due to the specific organizational or strategic affiliations of NGOs such as CCR and PCHR and was illustrated by political statements made by these organizations. This has led these NGOs to undermine the universality of human rights and international law. Individual members of NGOs carry with them political thoughts when they move from one organization to another. This creates links between the worldviews of the different bodies—something that happens across the political spectrum. For example, Jamil Dakwar, former senior attorney at the Israeli-Arab NGO Adalah and a researcher at HRW, now serves as a senior attorney with the American Civil Liberties Union. Dakwar's involvement is predicated upon his political outlook. When advocating that Israel should be willing to negotiate directly with Hamas, he stated: "The U.S. must ensure justice for the Palestinians if it is to wrest its image from the dustbin." Financial Backers. Moreover, a number of these NGOs share the same financial supporters. CCR's net assets as of June 30, 2006, were $5,029,974, 75 percent of which was received from endowments, foundations, and individual gifts. More than 1,050 foundations and individuals have offered financial support to CCR. Of the numerous individuals and foundations that financially support it, the Ford Foundation and George Soros's Open Society Institute are listed as donors of $100,000 and above. CCR also counts among its friends and allies politicized NGOs such as the International Federation for Human Rights (FILDH) and the Palestinian Center for Human Rights. Just as employees move between NGOs, cross-pollinating their worldview from one organization to another, so NGOs share a consensus in working to erode Israel's sovereignty. One example is a petition presented by the anti-Zionist International Jewish Solidarity Network (IJSN), which argued that the case against Avi Dichter was part of an overall, politicized strategy to demonize Israel. Among its points of unity, the IJSN states that, "We respond wholeheartedly to the call from Palestine for boycott, divestment and sanctions against Israel." CCR attorney Michael Poulshock's political motives for seeking to indict Dichter were further revealed in the above petition, which he signed, and which stated that its signatories were "U.S. Jews committed to stopping and holding accountable Israel for its destructive policies and practices—most immediately for a halt to the current attacks on Lebanon and Gaza." The petition further declared: "We call upon Jews everywhere to hold the U.S. government accountable for its 58-year role in facilitating and benefiting from Israel's longstanding, military occupation of Palestine, its repeated acts of collective punishment against both the Palestinian and Lebanese peoples, and its military dominance over Lebanon and other countries in the region." Demands on the United States. The points enumerated in the petition are consonant with the Durban strategy as it attempted to delegitimize Israel's security measures. The IJSN demanded that the U.S. government should require Israel to stop its brutal siege on Gaza and on Lebanon and call for an unconditional cease fire; should demand that Israel stop the expansion of the Israeli separation wall, dismantle the completed sections, and completely withdraw from Gaza, the West Bank and East Jerusalem; should support the United Nations resolutions demanding that Israel uphold international law and support the sanctions against Israel necessary to enforce these resolutions; should end military and economic aid to Israel; and should support reparations for the Palestinian and Lebanese people for the death and destruction they have suffered and for aid towards the rebuilding of their countries. The other main NGO involved in the cases against Dichter and Ya'alon, as well as the Almog case, was the Gaza-based Palestinian Center for Human Rights. PCHR director Raja Sourani commented on the case brought against Dichter: "Justice must finally be delivered to the Palestinian families in this lawsuit who have suffered tremendously because of Avi Dichter's decision to bomb the Al-Daraj neighborhood. These families are representatives of scores of other Palestinians who have suffered and continue to suffer as a result of Dichter's actions." Sourani was more dramatic when commenting upon the Ya'alon case. He stated, "We will not forget nor forgive, instead we will continue to do our best to bring the Israeli perpetrators of crimes against our people to justice with all our professionalism and the support of a global network of lawyers." NGOs have hijacked the right of universal jurisdiction in order to demonize Israel in the service of completely political motives stemming from anti-Zionism and anti-Semitism. The NGOs abuse their power, their extensive funds, and their halo-effect reputations to tarnish Israel. While debate surrounds the legitimacy and effectiveness of universal jurisdiction, what have not been emphasized are the radical links and political motives of NGOs whose credibility is predicated upon their alleged impartiality. Israeli ministers have expressed fears that Israel will be pressed to agree to an international investigation of noncombatant losses during Operation Cast Lead in Gaza in December 2008, or, alternatively, that more Israelis will be faced with personal suits. This is exactly what happened to Israeli officers who were accused in Britain of war crimes for actions committed during the second intifada. The British Foreign Commonwealth Office sent a message to Israeli foreign minister Tzipi Livni, saying that the government did not propose to change the legislation during the current session of parliament, as it would have been difficult to ensure a majority. The proposed new legislation would have given the attorney general a veto over charges brought by private citizens against foreign officials. James Arbuthnot MP, chairman of the House of Commons Defence Select Committee said: "It's unfortunate the government did not deal with this issue when it had the chance. … Gaza is just an excuse, because last September other issues were being resolved between the two countries. … The end result is that Britain will be less able to play the part it could otherwise play in resolving the problems of the Middle East." Barak Seener is the Greater Middle East section director of the Henry Jackson Society. Update from December 2009: Earlier this month, a British judge issued an arrest warrant against Israeli opposition leader Tzipi Livni on charges of war crimes that took place in Operation Cast Lead in January 2009. The incident British government has expressed embarrassment and has pledged to address the laws that grant groups the ability to target foreign officials in its criminal courts. This is just the latest of a couple of lawsuits in recent months against Israeli officials. In September 2009, a British attorney filed a lawsuit accusing Israel's Defense Minister Ehud Barak of war crimes on behalf of several Palestinian families. The lawsuit was timed to prevent Barak from holding talks with Prime Minister Gordon Brown and Foreign Secretary David Miliband. Barak also was due to speak at the Labor Party's annual conference at an event for the Labor Friends of Israel. Barak did not cancel his trip. In October 2009, deputy Prime Minister and Strategic Affairs Minister Moshe Ya'alon cancelled his attendance at a fund-raising dinner by the British Jewish National Fund. I have noted that a number of NGOs in the past have shared anti-semitic and anti-Zionist motives providing a motive to support lawsuits against Israeli officials. I further demonstrated the links that plaintiffs with Jihadi supporting NGOs. More recently however, this link has evolved into terrorist organisations directly providing logistical support to lawsuits seeking to indict governmental officials abroad. Similarities exist between these activities which have come to light in the recent case against Tzipi Livni. Coupled by the Lisbon treaty and other developments, alternative pockets of power have emerged in the form of supranational and multilateral organisations, treaties, and civil-societal organisations that seek to erode national sovereignty. Cases of lawfare point to the more fundamental goal of civil society groups in a globalised landscape to undermine state sovereignty. Richard Falk, the United Nations Special Rapporteur on the situation of human rights in the Palestinian territories, considers civil-society that cuts across state boundaries to be the extension of the democratic process. Thus democratisation which was vertical and making officials accountable to citizens is increasingly horizontal. While more representative in its cross-societal manner, there is less transparency and no accountability to civil-society claims to represent. The targeting of Israeli political and military officials abroad is merely symptomatic of this trend. Do we know who funds the lawsuits levelled against Israeli and Western officials in foreign courts? While civil-society is sub-state and transnational including NGOs, trade unions, charities etc. they are mirrored by terrorist organisations who engage in asymmetric conflict which is usually conducted through military means. They are adaptable to conducting lawfare in Western countries to further their goals and in the process generating conflict between states. Note diplomatic tensions between Israel and Britain and Belgium when the latter two countries had lawsuits against its officials. Civil Societal organisations have sought to indict British and American political, military and executive leaders such as former Prime Minister Blair, former President Bush, former Vice President Cheney, Secretary of State Powell, Secretary of Defence Rumsfeld and could extend to President Obama in Afghanistan. Rumsfeld threatened to withdraw funding from a new NATO headquarters building in Belgium lawsuits against US administration officials went ahead. At times states may create NGOs to undermine another state's policies and essentially be a soft-powered extension of its executive branch. Moises Naim touched upon this in an article he wrote on April 21, 2007 in the Washington Post called 'Democracy's Dangerous Impostors' where he crafted the concept 'Gongos' (Government organized non-governmental organisations). Examples he provided are Chongryon, a vast group of pro-North Korean "civil society" organizations active in Japan that 'is the de facto representative of the North Korean regime. Japanese authorities have accused several of its member organizations of smuggling weapons technology, trafficking in pharmaceutical products, and funnelling hundreds of millions of dollars, as well as orchestrating a massive propaganda operation on Pyongyang's behalf.' Similarly Saudi Arabia funds madrassas and mosques around the globe that promotes anti-Western Wahabbism. Western democratic governments such as the U.S. advance their agenda through their own gongos. Naim's example is The National Endowment for Democracy (NED) aimed at invigorating international democratic institutions and is funded by the U.S. government. Thus he notes that in several countries such as Russia receiving money from the NED is considered a crime to the extent that former President Vladimir Putin's government denounced foreign-funded support for political reform by groups such as the NED as subversive and anti-Russian. We have no idea of the extent in which lawsuits against Western officials may be funded by terrorist organisations or authoritarian regimes. In an autocratic regime, civil society lacks independence and to a great degree must be complicit with the regime. Moises Naim notes, 'they have become the tool of choice for undemocratic governments to manage their domestic politics while appearing democratic.' He offers the example of the Myanmar Women's Affairs Federation that is run by the wives of the Burmese military junta's top generals and is a harsh critic of Aung San Suu Kyi. Jamal Amaney writes extensively on this phenomenon that existed in the Palestinian territories under Arafat in his book 'Barriers to Democracy: The Other Side of Social Capital in Palestine and the Arab World'. A common denominator exists between terrorist organisations and autocratic regimes as both seek to empower the individual to undermine the Westphalian state system in various ways. In the West they sponsor lawfare, in the Middle East they sponsor insurgencies through terrorist organisations in proxy warfare against both Israel along with the West's involvement in Iraq, Afghanistan to create decent governance. In this manner, autocratic forces merely devolve democracy downwards in the form of sponsoring terrorism conducted by individual sub-state actors. While countries such as Britain may create legislation to counter the attempts to wage lawfare against foreign officials, Western states must not simply symptomatically counter lawfare alone. Rather they should undertake much broader effort to create legislation whereby civil-society is made to complement rather than undermine national sovereignty. See, for example, Anne Herzberg, "NGO 'Lawfare': Exploitation of Courts in the Arab-Israeli Conflict," NGO Monitor, 2008. "Report of the Commission of Inquiry into the events at the refugee camps in Beirut," Israel Ministry of Foreign Affairs, Feb. 8, 1983. Gerald M. Steinberg, "The Durban Strategy," The Jerusalem Post, Sept. 10, 2005. Gerald M. Steinberg, "The Centrality of NGOs in Promoting Anti-Israel Boycotts and Sanctions," Jewish Political Studies Review, Spring 2009. "NGO Forum Declaration," World Conference against Racism, Durban, Sept. 3, 2001. "NGO Forum at Durban Conference 2001," NGO Monitor, accessed June 12, 2009. BBC News, Nov. 19, 2001. Amira Howeidy, "Against the gray: An Arab lobby in the heart of Europe? Yes, and it's working," Al-Ahram Weekly (Cairo), July 12-18, 2001. Dyab Abou Jahjah, "Our Collateral damage, and theirs!" Media Monitors Network, Nov. 2001, accessed Mar. 27, 2009. "AEL: every Dutch soldier's death is a victory," Expatica (Amsterdam), Oct. 25, 2004. Robert S. Wistrich, European Anti-Semitism Reinvents Itself (New York: The American Jewish Committee, 2005), p. 37. "Belgium 2001-2," Antisemitism and Racism, accessed June 30, 2009. "Jewish Magazine: Slander and Lies," Arab European League, Apr. 7, 2009. "The AEL and the Gaza Conference in Iran," Arab European League, Mar. 9, 2009. "Solidarity Committees," Indict Ariel Sharon—Justice for the Victims of Sabra & Shatila, accessed June 12, 2009. "The Accused," Panorama, BBC1, June 17, 2001. "A Quest for Justice: The Case against Ariel Sharon," The Daily Star (Beirut), Nov. 29, 2001, p. 5. "Israel and Occupied Territories: Amnesty International Urges Investigation of Ariel Sharon," Amnesty International, Oct. 3, 2001; "Israel: Sharon Investigation Urged," Human Rights Watch, June 22, 2001. Hanny Megally, "Israel: Sharon Investigation Urged," Human Rights Watch, accessed July 10, 2009. The Jerusalem Report, June 24, 2001. "Applicable Law: Crimes against Humanity," IndictSharon.net, accessed July 30, 2009; "Complaint against Ariel Sharon," IndictSharon.net, accessed July 30, 2009; Megally, "Israel: Sharon Investigation Urged." Daniel L. Byman, "Targeted Killing, American-style," Los Angeles Times, Jan. 20, 2002. The Jerusalem Post, May 4, 2009. Complaint, Matar, Huweiti, Zeino v. Avraham Dichter, U.S. District Court, 1: 05 CV10270. "Memorandum of Points and Authorities in Support of Avraham Dichter's Motion to Dismiss the Complaint," Matar, Huweiti, Zeino v. Avraham Dichter, U.S. District Court, 1: 05 CV10270. James Taranto, "Sounding Off at the Saudis—II," The Wall Street Journal, July 24, 2002. "Concurrent Resolution: Condemning Terror Attacks in Israel," U.S. Senate, Committee on Foreign Relations, Mar. 13, 1996; "Memorandum of Points and Authorities in Support of Avraham Dichter's Motion to Dismiss the Complaint." "Statement of Interest of the United States of America," Ra'ed Mohamad Ibrahim Matar v. Avraham Dichter, United States District Court, Southern District of New York, Nov. 17, 2006. "Objections to Defendant's Evidence," Matar, Huweiti, Zeino v. Avraham Dichter, U.S. District Court, 1: 05 CV10270. "Declaration of Professor Antonio Cassese," Matar, Huweiti, Zeino v. Avraham Dichter, U.S. District Court, 1: 05 CV10270. "Memorandum of Law in Support of Plaintiffs' Opposition to Motion to Dismiss," Matar, Huweiti, Zeino v. Avraham Dichter, U.S. District Court, 1: 05 CV10270. "Memorandum of Points and Authorities in Further Support of Avraham Dichter's Motion to Dismiss the Complaint," Matar, Huweiti, Zeino v. Avraham Dichter, U.S. District Court, 1: 05 CV10270. The Jerusalem Post, Mar. 12, 2009. Belhas, et al v. Ya'alon, U.S. District Court for the District of Columbia, Dec. 15, 2005. "Memorandum of Points and Authorities in Support of Moshe Ya'alon's Motion to Dismiss the Complaint," Belhas, et al v. Moshe Ya'alon, p. 4. Syria Accountability and Lebanese Sovereignty Restoration Act of 2003, Public Law 108-175, 117 Stat. 2482-2489. Newsday, May 23, 1996; "Center for Constitutional Rights: Serial Abuse of International Law," NGO Monitor, July 17, 2007. "Belhas, et al v. Moshe Ya'alon," Center for Constitutional Rights, New York, accessed July 10, 2009. "Memorandum of Points and Authorities in Support of Moshe Ya'alon's Motion to Dismiss the Complaint," p. 2. "Memorandum of Points and Authorities in Support of Moshe Ya'alon's Motion to Dismiss the Complaint," p. 4. Ha'aretz, Jan. 2, 2009; Associated Press, Jan. 2, 2009. The Jerusalem Post, Feb. 27, 2009. The Jerusalem Post, June 25, 2009. Jamil Dakwar, "Why the U.S. Should Talk to Hamas," Al-Ahram Weekly, Feb. 22-28, 2007. Annual Report, 2006, Center for Constitutional Rights, New York, accessed July 10, 2009. "Past Work," International Jewish Anti-Zionist Network, accessed July 10, 2009. "Charter," International Jewish Anti-Zionist Network, accessed July 2, 2009. "Petition for U.S. Jewish Solidarity with Muslim and Arab Peoples of the Middle East," Aug. 8, 2006. Noura Erakat, "Landmark Lawsuits Filed in U.S. Courts against Israeli Officials," Washington Report on Middle East Affairs, Mar. 2006, pp. 21, 36. "Stop Support for Israel's War Crimes! Moshe Ya'alon in New Zealand," Palestinian Center for Human Rights and the Anti-Apartheid Wall Campaign, Joint Advocacy Initiative, Nov. 30, 2006. The Jewish Chronicle (London), Mar. 26, 2009. Related Topics: Arab-Israel conflict & diplomacy, Israel & Zionism | Fall 2009 MEQ receive the latest by email: subscribe to the free mef mailing list This text may be reposted or forwarded so long as it is presented as an integral whole with complete and accurate information provided about its author, date, place of publication, and original URL.